These Low-Carb Chocolate Chip Banana Bread Muffins are a perfect keto-friendly baked good to enjoy for breakfast! I grew up eating my Mom’s banana bread and it was my absolute favorite weekend breakfast. Unfortunately, as I’ve grown older, I no longer tolerate carbs and sugar like I used to, so bananas and banana bread were a thing of the past. 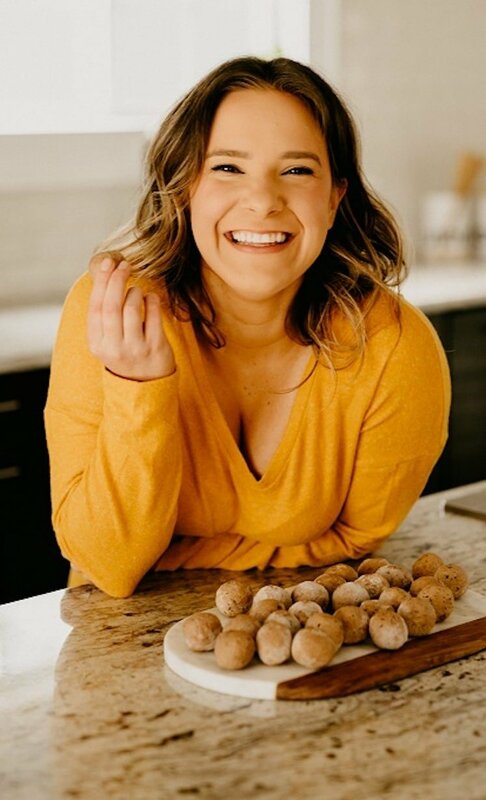 I recently had a sudden craving for banana bread and got to thinking about how much I missed eating it, so I knew I needed to develop a low-carb variation of this recipe for you all! 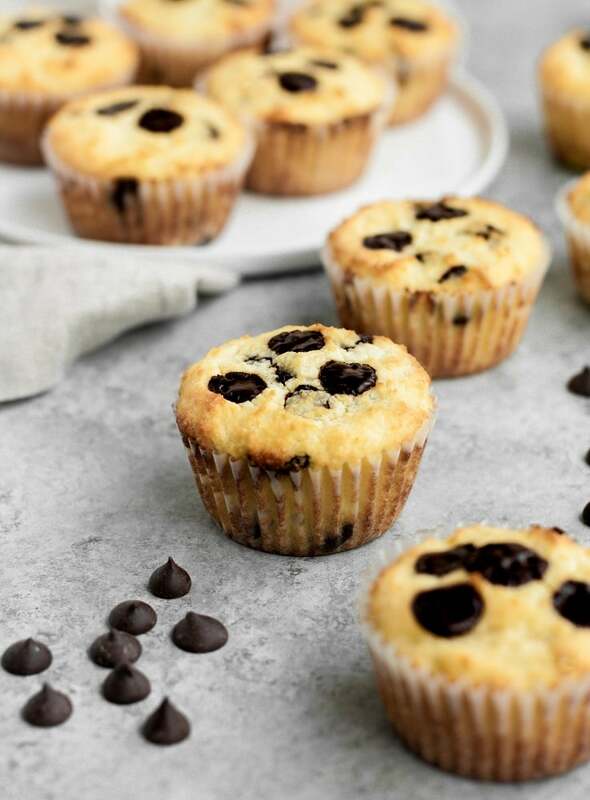 These muffins are not only a delicious homage to the traditional banana bread I grew up eating, but I also added an extra layer of flavor… chocolate chips! Because what makes everything taste better?! CHOCOLATE. The chocolate chips used in this recipe are extremely allergy-friendly and contain only one simple ingredient: cacao. Unlike other chocolate chips on the market that contain soy lecithin, Pascha chocolate chips are free from soy and other emulsifiers. You can purchase Pascha Chocolate Chips on Amazon or check out their store locator to find a store near you that sells Pascha products. 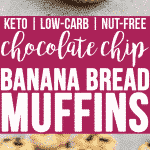 Like many of my recent easy keto recipes, these Low-Carb Chocolate Chip Banana Bread Muffins are free from any ingredients containing nuts and are safe to consume for those with a nut allergy or nut intolerance! 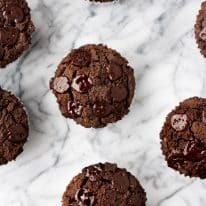 These muffins are sweetened with my favorite net-carb-free and all-natural sweetener, Lakanto Monk Fruit Sweetener, which is a necessary addition to your pantry if you follow a ketogenic diet and enjoy eating dessert! Monk fruit sweetener won’t spike your blood sugar, won’t kick you out of ketosis, and, the best part, tastes exactly like traditional sugar! If you are looking for a sweetener that tastes like sugar and is low-carb, keto, and paleo-compliant, I highly recommend trying Lakanto Monk Fruit Sweetener! You can use code “REALBALANCED” for 20% off your total order! 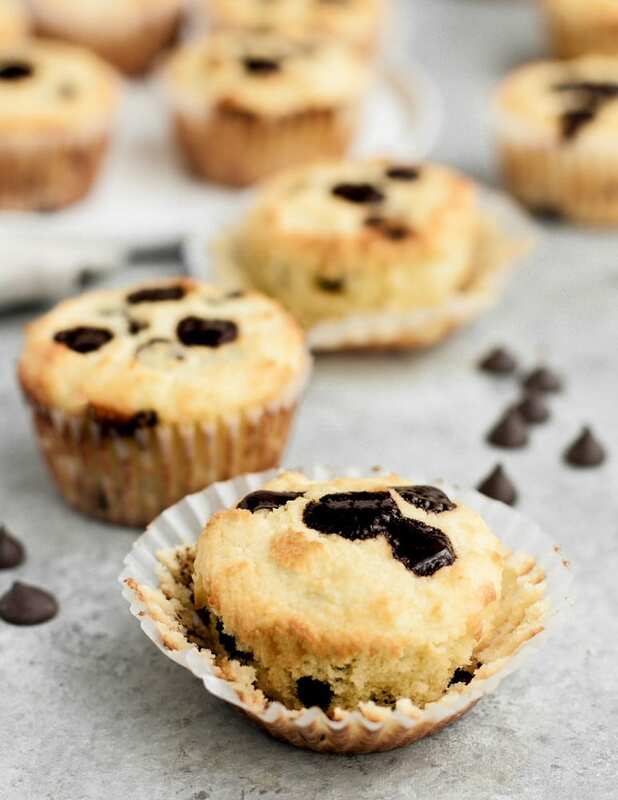 These Low-Carb Chocolate Chip Banana Bread Muffins are a delicious breakfast baked good option to enjoy for those who follow a low-carb diet and for those who limit or altogether restrict their consumption of nuts. Keto and Low-Carb: One keto banana bread muffin contains only 2.6 grams of net carbs per serving. 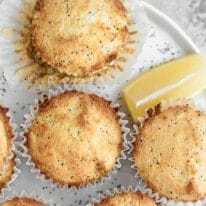 Nut-Free: This recipe is entirely nut-free as it uses coconut flour rather than almond flour, making these low-carb muffins safe to consume for those with a nut allergy or nut intolerance. 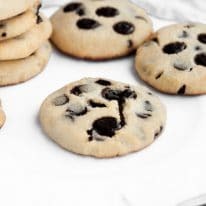 Soy-Free: The chocolate chips used in this recipe are free from soy lecithin, an emulsifier that most other chocolate chip products on the market contain. Gluten-Free and Grain-Free: This recipe is grain-free as well as being Celiac-friendly as it is gluten-free. Refined-Sugar-Free: These muffins are refined-sugar-free as they are sweetened with monk fruit sweetener rather than traditional sugar. One banana bread muffin contains 2.6 grams of net carbs per serving. 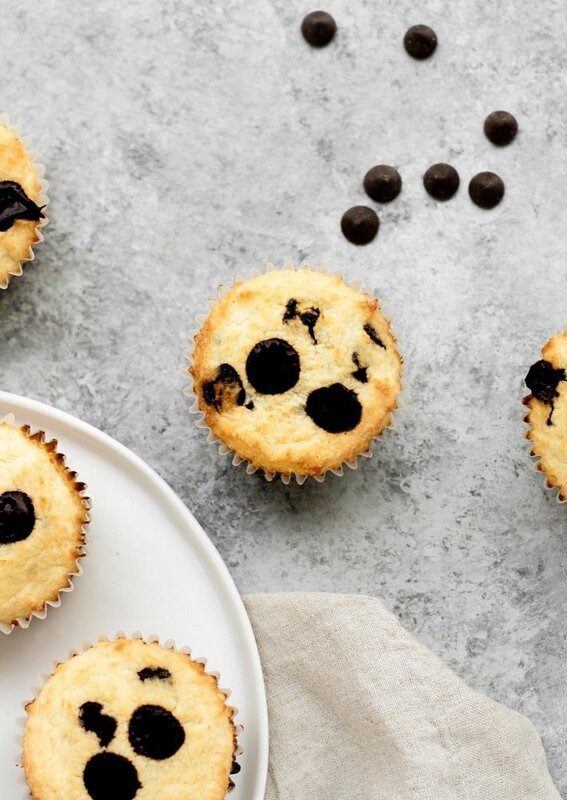 This recipe yields 12 muffins. These Low-Carb Banana Bread Muffins are low-carb, keto, nut-free, soy-free, gluten-free, grain-free, vegetarian, and refined-sugar-free. You can find more Real Balanced dessert recipes here! These Low-Carb Chocolate Chip Banana Bread Muffins are a perfect keto-friendly baked good to enjoy for breakfast! This recipe is low-carb, keto, nut-free, soy-free, gluten-free, grain-free, vegetarian, refined-sugar-free, and contains only 2.6 grams of net carbs per serving! To a mixing bowl, add eggs, monk fruit sweetener, heavy whipping cream, cream cheese, banana extract, vanilla extract, cream of tartar, baking soda, and salt. Mix with an electric mixer until ingredients are combined. In a microwave-safe bowl, melt butter. To mixing bowl, add melted butter and coconut flour. Mix with electric mixer until fully incorporated. Fold almost all chocolate chips in to dough, saving some to top muffins with. Spoon dough into individual muffin liners. 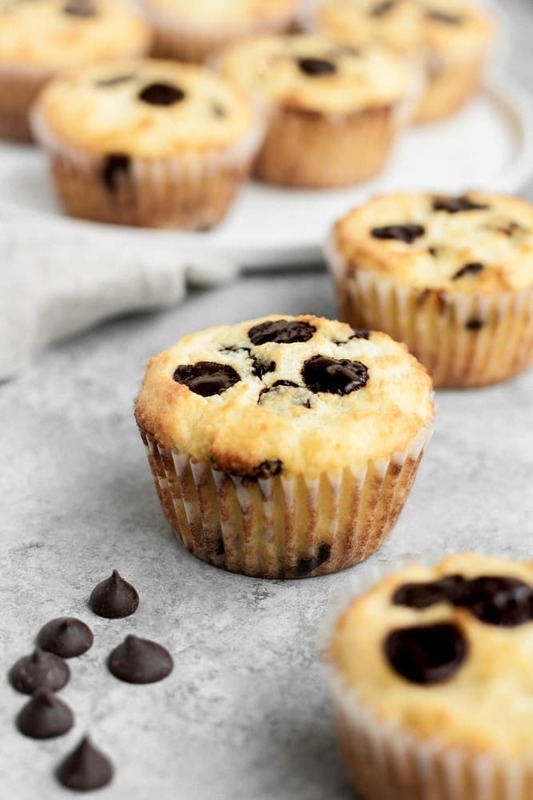 Top muffin dough with remaining chocolate chips.